Despicable Me is one of our family’s favorite movies. And Despicable Me 2 is a huge hit at the movie theaters this summer! I haven’t seen it yet myself, but the kids tell me it’s even better than the first. A big part of the success of these movies are the Minions. Tiny, yellow and very funny, these background characters steal the show! 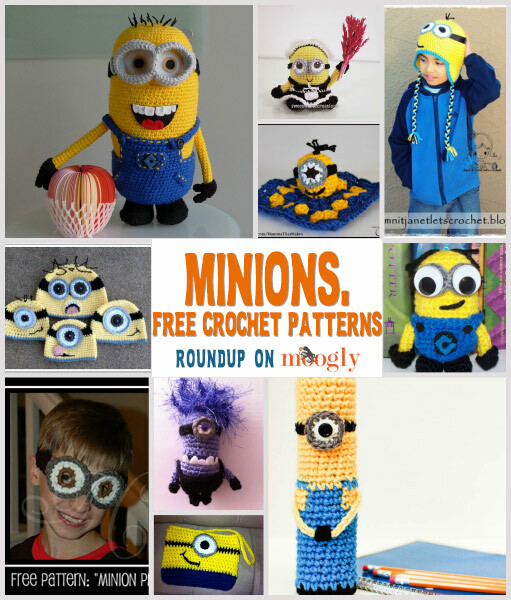 Of course, there are a lot of designs out now featuring these cute guys – so here are 10 of the best free Minions crochet patterns! Despicable Me Minion by Stephanie Jessica Lau, on All About Ami: Stephanie always has amazing patterns, and this Minion with his removable goggles and overalls is no exception! 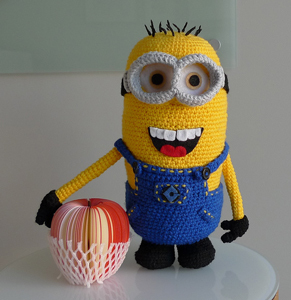 Minion by Lupita Suarez, on crochet_goods: It’s a mini Minion! Too cute! 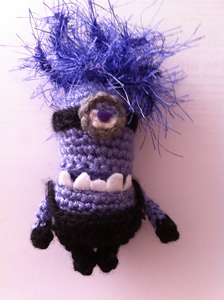 Purple Minion by Ami Angela, a Ravelry download: In Despicable Me 2 there’s a new purple threat! 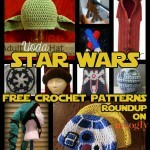 This one is only a little scary – and the designer’s first written pattern! Awesome! Amigurumi Frenchie the Minion by Shannen C, a Ravelry Download: Does it include instructions for the little duster? Mai oui! 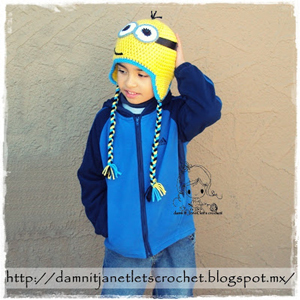 Minion Earflap Beanie by Janet Carrillo , on damn it Janet, let’s crochet! : Prefer the earflap style? 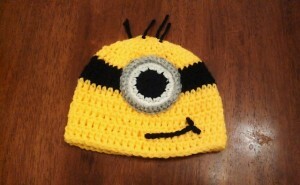 This Minion hat pattern fits children an small adults. Minion Mini Snug by Myshelle Cole, on Mamma That Makes: This cute Minion lovey is perfect for the tiniest Minion fans! 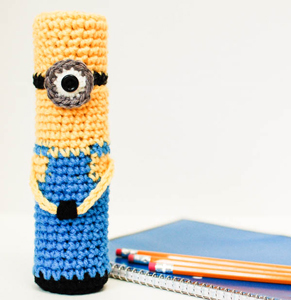 Crochet Minion Pencil Case by Kara Gunza, on Petals to Picots: This pattern is brand new, just released! And it’s guaranteed to be a hit with back to school kids (and teens and adults)! 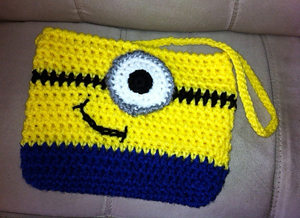 Minion Purse by Gloria Wolf, a Ravelry download: A fun clutch pattern with matching Minion phone cozy! Minion Play Goggles by Jennifer Pionk, a Ravelry download: (previous pattern no longer available) NEW LINK: Minion Googles by Ruth Jepson, on Amiguruthi! Make your minions into Minions! So fun, perfect for dress up and Halloween! Just discovered your site. 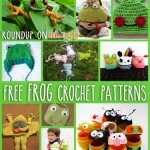 I am liking some of these patterns. 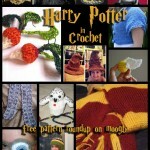 Can’t wait to finish the 2 projects I have going now so I can start on some new ones. I have gotten so bad that even my teenage son comes in and says, “oh, you are looking at MORE things to make aren’t you?” Excited to see so many baby things. We have several new and one on the way in my family. Crochet is an addiction, that’s for sure! 😀 A good one though, I think! You’re very welcome, and thank you for commenting! Thanks so much for including my amigurumi minion in your round-up and for your very kind words about my patterns 🙂 I really appreciate it! I’m a big fan, Stephanie! 😀 You’re very welcome! Minion Play Goggles by Jennifer Pionk, on Ravelry is no longer available 🙁 Will have to look at the picture and figure it out. Thanks for sharing the Minion patterns. These are the funniest things I have seen in a long time. My grandkids will love them. 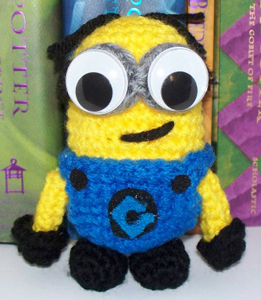 I’m making a book of them and other amigurumis and let the grandkids pick which minion they want. My whole family loves these guys. My husband thinks the one in the french maids uniform is his favorite. 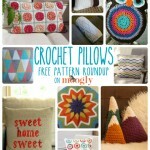 Thanks for sharing these patterns. I’ll have hours of fun. 😀 Thanks Gerry, I’m glad you enjoy them! These are so cute! 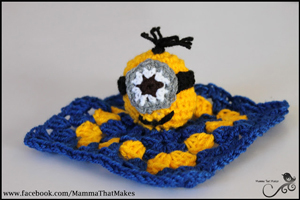 Have you tried crocheting a minion hat yet? Minion hats look cute on everyone! 😀 Thank you JoAnn! Happy holidays to you as well!